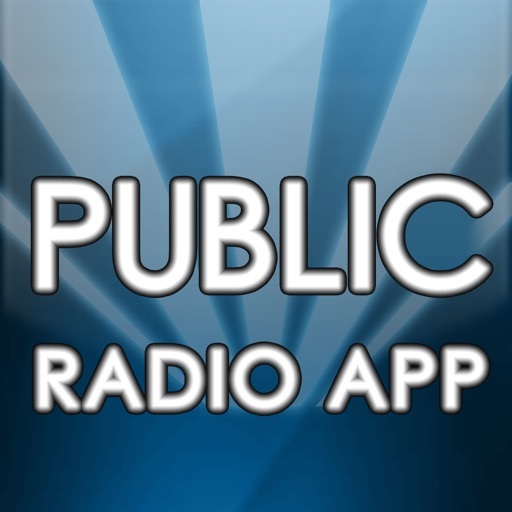 Public Radio App: The ultimate mobile public radio experience with great features not found in any other app! 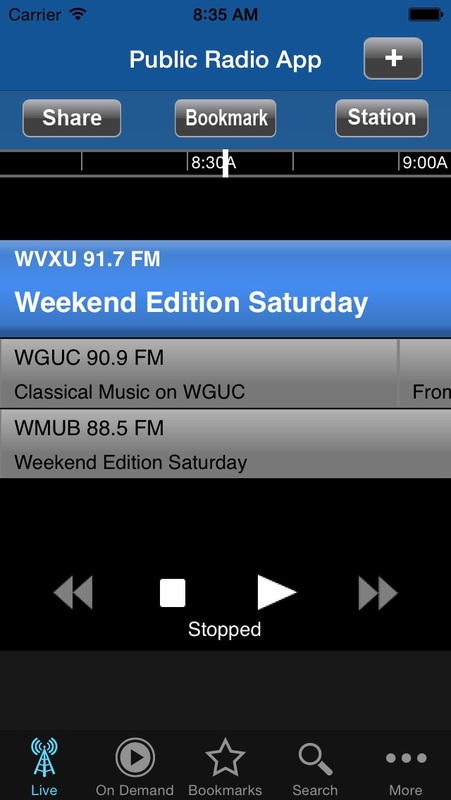 While others may be free, only the Public Radio App allows you to pause and rewind a live stream and view the program schedule for multiple streams at once. You can explore On Demand content and search across hundreds of stations, bookmark a story for later, and wake up to your favorite station with the alarm clock. All this, with no pop-up ads, for the price of a grande latte! Have you ever experienced dropped streams with other free apps? With the Public Radio App, we’ve designed the streaming engine from the ground up to minimize dropped streams and recover automatically to avoid interruptions. • Listen to live streams from your favorite public radio stations across the nation (300+ stations supported). Start the app and your favorite station starts playing – no clicks to start listening. • Easily find the local public radio stations with GPS, or search by station categories and call letters. 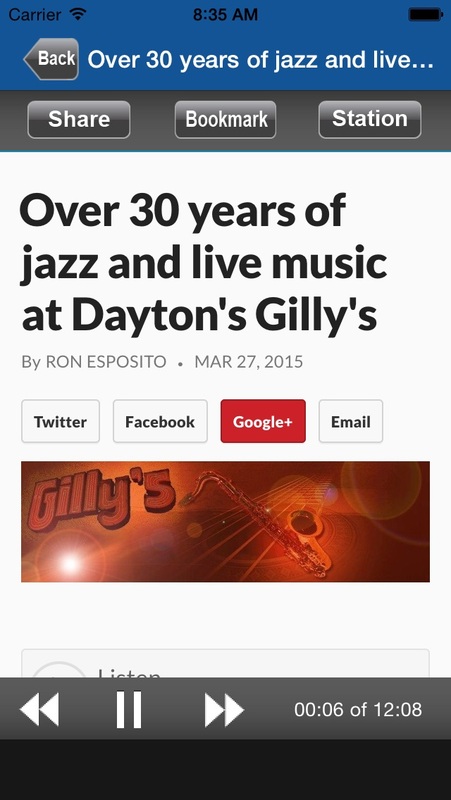 • Listen to your favorite public radio station in the background while browsing the web or catching up on your emails! • Access 300+ public radio programs from multiple content providers (NPR, PRI, APM and local stations) easily and quickly. 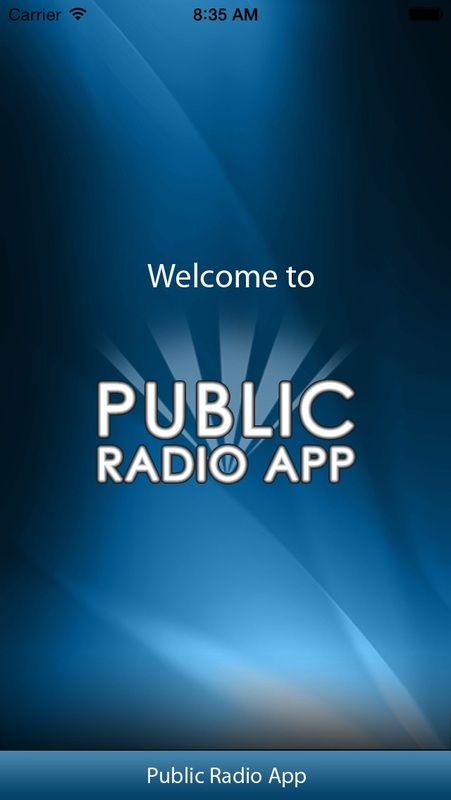 • The Public Radio App displays the web page associated with the program or story segment you are listening to On Demand so you can explore for more information. 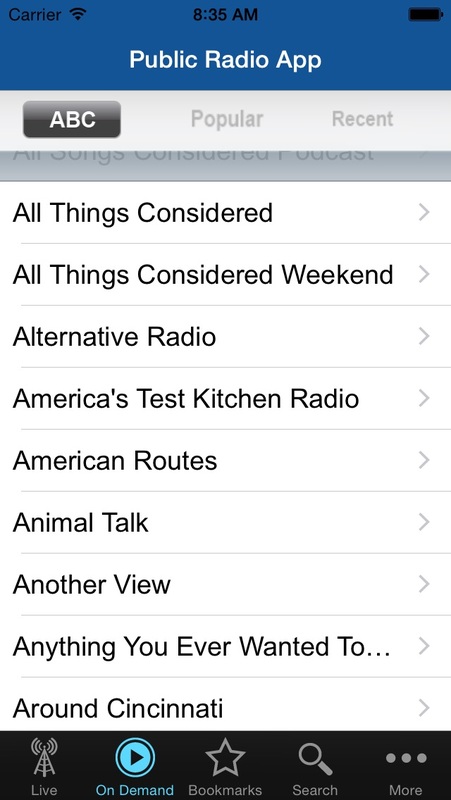 • You can also access the Radio Bookmarks created on your iPhone/iPod/iPad on your computer. 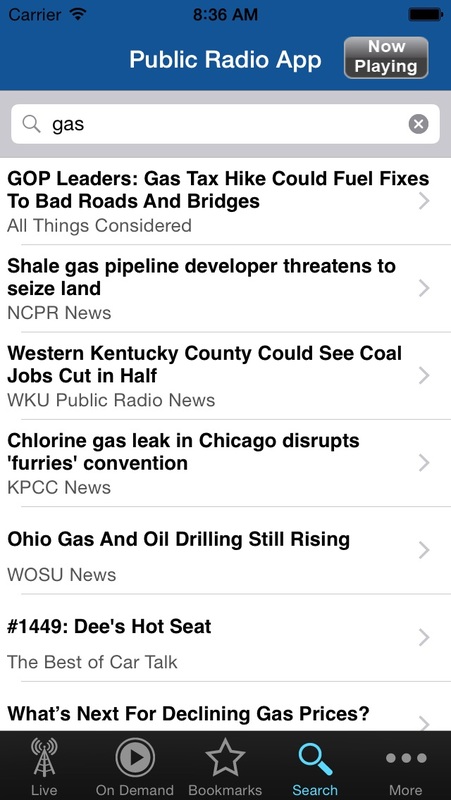 The Public Radio App is brought to you by the people at Radio Bookmark. We work closely with public radio stations in developing great solutions that allow listeners to find what they want, when they want it, and where they want it. Please support your local public radio station! Corrected issue with sharing stories via email and new stations being removed.